As part of Petroplan’s 40th anniversary celebrations, the specialist oil and gas recruiter has teamed up with Professor Jonathan Redfern, Head of Petroleum Geoscience and Basin Studies at the University of Manchester, to discuss the last half a century of oil and gas, the current state of the market, and the key challenges facing the sector in the future. What would you say is the key difference between the oil and gas industry in 1976 and the present day? The biggest change is undoubtedly the significant advances in technology that have driven exploration and production, and also allowed increases in recovery from existing oil fields. Everything from hard engineering, to the ability to drill in ultra-deep water, and the ability to drill quicker and more efficiently and safely, has changed. Advances in computing power have allowed us to image the subsurface and manipulate data, and combined with new software to visualise and manage data, this has revolutionised the industry. The fundamentals haven't changed, but these jump step advances in data acquisition and interpretation, and the ability to engineer solutions, has unlocked huge global resources. 15 years ago people talked about the impending Peak Oil crisis, and that the world was running out of oil. We had 40 years proven oil reserves then in 2000. Now. 15 years later, we have over 50 years of proven supply, probably more if you include unconventionals, and no one talks of Peak Oil anymore. But it isn't only technology that has transformed the sector - our scientific understanding of the petroleum system has greatly increased. How oil and gas is generated and trapped, and our ability to model this, has reduced uncertainty and risk. Of course, we have largely found the "easy oil and gas". The large traps have been drilled in most basins, so it is getting harder to discover big fields. But there are still significant volumes left to find, or to extract more efficiently, to go back in and find ways to economically produce small stranded oil fields or to go deeper and open up new, as yet, unknown plays. And that will require leading technology, applying the best ideas, and importantly, the best brains. That is one thing that is still unchanged from 1976 - the best minds deliver the best results. Is there a difference in the kind of oil and gas being used these days? Fundamentally no, but there is a difference in the reservoirs we can extract oil and gas from. With the advent of drilling technology to fracture the reservoirs (Fracking) we can now target both conventional reservoirs that have poor quality (tight reservoirs) and unconventional reservoirs, which are rocks that mainly were the source of the oil, and still contain large volumes of oil within them that hasn’t managed to escape out. We can now drill into these rocks, which in many basins cover vast areas, and extract the oil or gas, albeit at lower rates (barrels produced per day). Given the size of the resource we can tap into, this has made a significant impact on global resources. It has brought the US back to the top table of the world’s leading oil producers. What has impacted these changes? The driver is demand for energy, which has increased annually. We currently use in excess of 90 million barrels per day (30+ billion barrels per year), and world energy consumption is expected to increase by 40+% in the next 25 years. To put that in context, our global daily oil production equates to draining the equivalent of a large oilfield every day, or using the same amount of oil that has been found in the North Sea every year. What were the key challenges faced by the oil and gas sector in the 1970s? In the 70s it was a new world. Drilling in ever harsher conditions, and opening up new basins like the North Sea, unknown geology, poor data and in an age before significant computing power (no workstation, seismic interpreted by hand, maps all drawn by hand) or even telecommunications. It’s hard to imagine now. The key challenges were the ability to image the subsurface, and the seismic data available was poor and limited to 2D individual lines. Today we have made huge improvements, with the ability to acquire 3D seismic volumes or shoot deep seismic to the Moho, and using modern computing power to process that data to image much more clearly the rocks at depth. It’s literally like wiping the steam off a window and being able to see through. Of course it’s not always clear, there are still huge challenges, as we drill deeper or in more complex areas, but our ability to deploy leading technology is a huge advantage. What are the key challenges now, and what will be the challenges moving forward? Moving forward we have many key challenges, largely driven by a falling oil price in the short term. Companies face the combined economic challenges of making projects viable, cutting costs and reducing waste. But there are also challenges in increasing exploration success. A dry well (failure that only finds water) is a waste, and there is a drive to improve our geological understanding of basins. This involves universities and academics working with companies. When the oil price is high, there is a tendency to drill first, but we have seen this yields poor results. So I personally think our biggest immediate challenge is to overcome the latest round of cost cutting, and to realise that a company’s biggest asset is its staff – from the geologists and geophysicists that find oil, to the engineers that get it out of the ground, and the whole team of economists and lawyers etc. But all these staff need to be motivated and trained and valued, and without that, no company can ever really achieve significant results. You can only cost cut so far, and then companies need to begin the cycle of income generation, of adding value, and that means exploration or better production, and that means getting the right people. It means engaging with universities that nurture the raw talent of new graduates and also develop the new ideas and concepts. Those at the cutting edge of funding new research always lead the pack. Those companies that are quick off the mark to rebuild and drive forward will be the successful ones. Where do you think future reserves will be found? There is potential in many areas. Both new basins are still to be unlocked, there is potential in onshore Africa, South America, Offshore East Africa such as Somalia for instance. Plus there is unconventional energy to exploit and fields, many fields, to rehabilitate and extract more oil from. Gas is still the energy of the future with many areas relatively untouched. There isn’t much easy oil or gas to find, it will require deploying all our best technology and people, but there is a prize to be had. Any other comment on current/future reserves? The key to unlocking new resources, and to reducing risks and uncertainty, in the end isn’t driven by technology or software, it’s having the right personnel. It’s about a mix of key experienced staff to guide and avoid making errors that have been made before, to mentor and manage, and bright new graduates to bring in new ideas, the drive, energy and passion. There isn’t a short cut to understanding the geology, it requires time to assess the data and evaluate. Many companies have failed to appreciate that small cost cuts in geology and geophysics can result in large increase in uncertainty because the work just can’t be done as well, and that results in dry wells, the costs of which dwarf the initial savings made to reduce staff costs. What does the future of energy look like to you? Despite the drive for reduction in CO2, and to meet climate change, which will be undoubtedly a challenge for oil companies to manage going forward, I can't see at present any viable alternative to meet global energy needs other than oil and gas. The long term trends, at least for the next 50 years, I think will still involve increasing production, until there is a similar step change in renewables technology to reduce its costs and increase efficiency. This may have to involve large scale carbon sequestration, that ball is still in the court of the governments, but if that is an option taken then oil companies are likely to be the ones tasked to deliver that CO2 sequestration anyway, as they are the ones with the technology and ability to move fluids in vast volume. Any changes will likely be gradual, and oil and gas as a resource for chemicals and such will always remain. We have been "too" successful, if anything, in meeting this global energy challenge, and in the short term the market has been oversupplied. But this will correct naturally and going forward I think there is still a very rewarding, exciting career available in oil and gas, and one that the world needs, to maintain its energy output, without which the crisis we would face would dwarf any issues of climate change in my opinion. 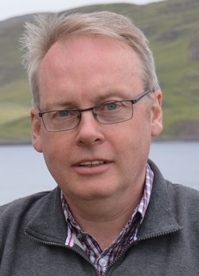 Jonathan Redfern is Professor of Petroleum Geoscience, Head of the Petroleum Geoscience and Basin Studies research and Director of the Petroleum Geoscience Mscs run within the School of Earth, Atmospheric and Environmental Sciences at the University of Manchester. He is also a Fellow of the Geological Society (FGS), and a member of the AAPG, PESGB, IAS and EAGE. As well as a strong standing in academia, Professor Redfern has worked for Fina and Amerada Hess in the UK, North Africa and S.E Asia.